The problem of social control has constituted the acid test for the entire issue of immigration and integration. But whilst recent studies show that the crime rate for non-nationals is three, four or more, times higher than that of the country’s 'own' citizens, academic interest in these statistics has been inhibited by the political difficulties they raise. Immigration, Social Integration and Crime addresses this issue directly. Providing a thorough analysis of immigration and crime rates in all of the main European countries, as well as examining the situation in the US, Luigi M. Solivetti concludes that the widespread notion that a large non-national population produces high crime rates must be rejected. Noting the undeniably substantial, but significantly variable, contribution of non-nationals to crime statistics in Western Europe, he nevertheless goes on to analyze and explain the factors that influence the relationship between immigration and crime. It is the characteristics of the 'host' countries that are shown to be significantly associated with non-nationals’ integration and, ultimately, their involvement in crime. 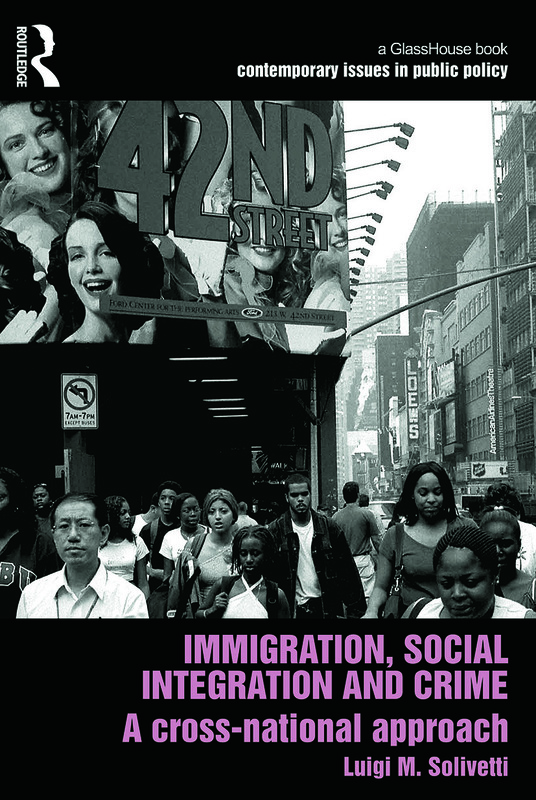 In particular, Solivetti concludes, it is 'social capital' in the host societies – comprized of features such as education, transparency, and openness – that plays a key role in non-nationals’ integration chances, and so in their likelihood to commit crime. Supported by extensive empirical data and statistical analysis, Immigration, Social Integration and Crime provides an invaluable contribution to one of the most pressing social and political debates – in Europe, and elsewhere.